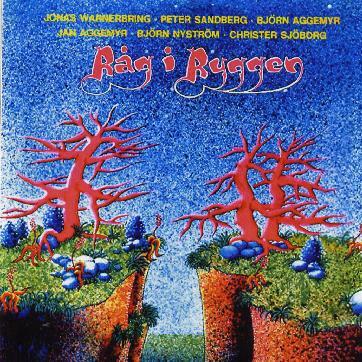 Råg I Ryggen - "Råg I Ryggen"
While the new sub label of Record Heaven, Transubstans, has lately mainly been releasing new Swedish bands, here is a classic Swedish band that was fairly short lived and released just this one record. The name can be translated in English to the saying, "To have Guts". The CD presented here is the original LP plus 3 tracks recorded live in 1975. The band was a six piece with two guitarists, ala Thin Lizzy and a keyboard player. This music is not nearly as slick as Thin Lizzy and much more down and dirty! Some of the songs are sung in Swedish and some in English as well. The band uses a lot of harmonies with the guitars and keyboards as well. The production sound is very much the early 70's sound. For more information you can visit the Transubstans web site at: http://www2.recordheaven.net/Transsubstans/intro.htm.